A cute and comfortable dress made in less than two hours? It’s Easy Peazy! Do your little girls like to dress in ‘fancy’ clothes that are delicate and often ruined after one trip to the playground? Or, maybe after hours of sewing you discover that she doesn’t like the fit and never wears your creation? 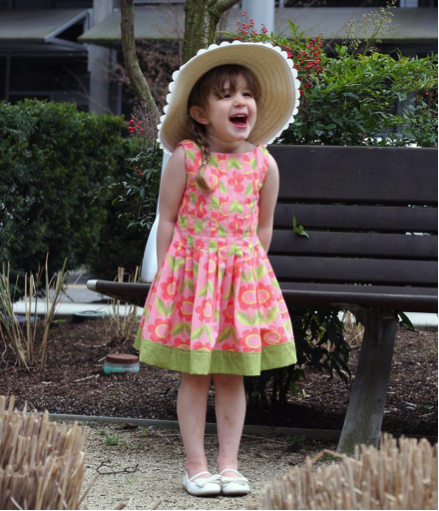 I love sewing for my granddaughters and I want them to love what I make. Not always an easy task but when I design new patterns my goal is to make something my little (and not so little these days) girls will love. 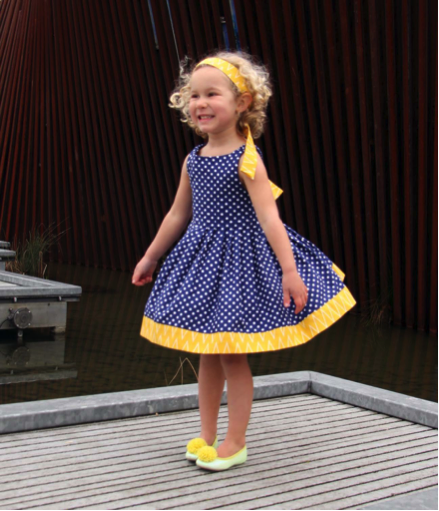 Whether it be twirls, ruffles, bows or bubble hems, I want all girls to have an opportunity to show off their style, in comfort with a durable construction, so that they’ll wear these outfits over and over! 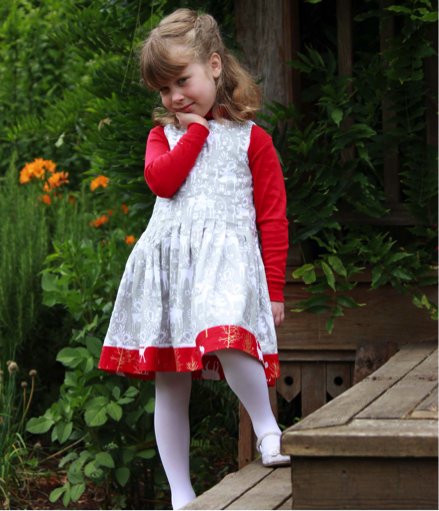 In fact, as I was taking pictures for this blog of a Christmas version of the dress featured in this blog, my little granddaughter model asked if it was going to be itchy like her last (store-bought) Christmas dress. It was so rewarding when she asked if she could wear the dress home even though it is only June. Step 1. Fold the dress front (a rectangle) along the fold line indicated on the tissue aligning the top with the bottom (not quite half way). 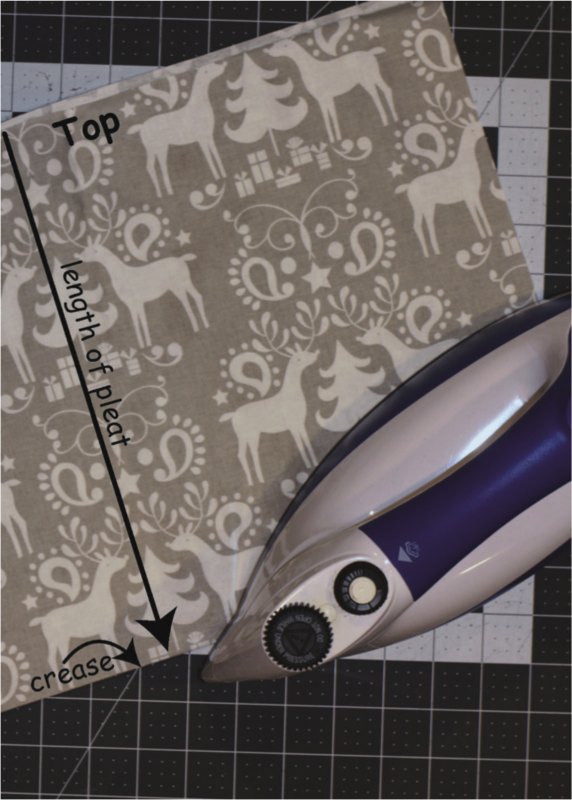 Press in a crease – you will sew each pleat to this crease-line. Unfold. Step 2. Fold the rectangle in half right sides together aligning the sides and press along the edge down to the horizontal crease (from step one). 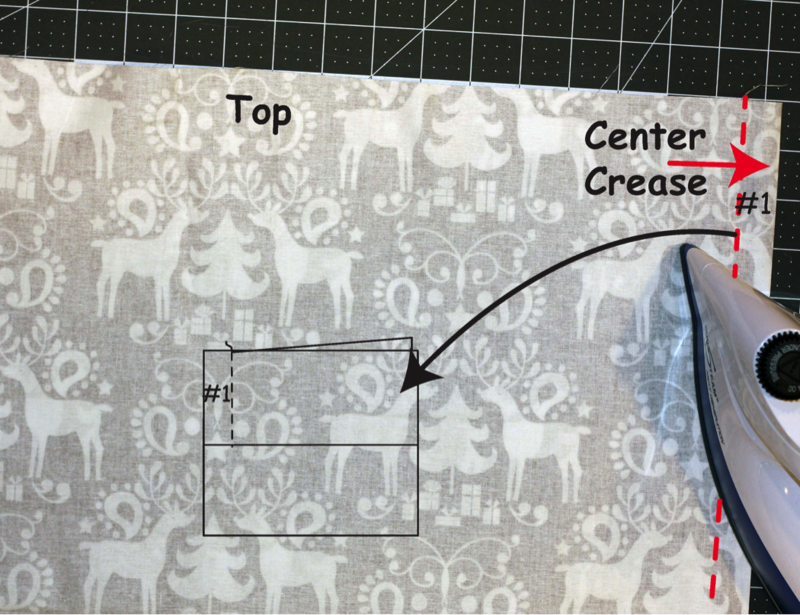 Sew a seam ¾” from crease down to the horizontal crease- this is your first pleat, center pleat #1. Step 3. 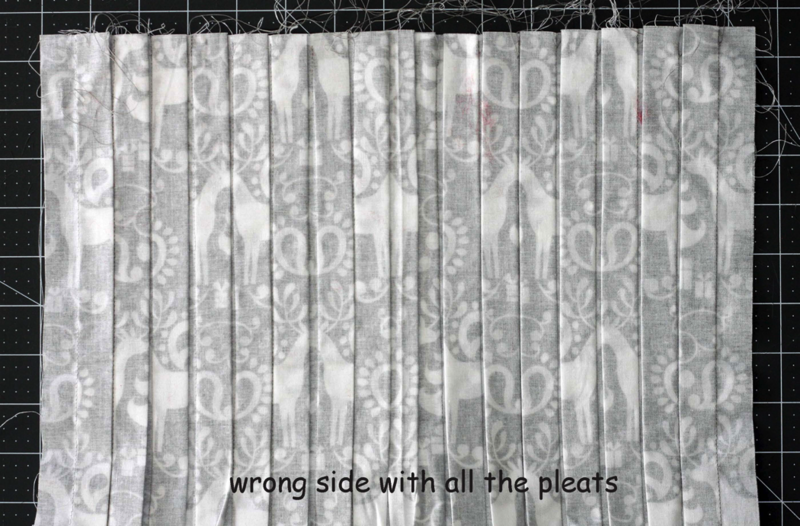 Press creases 1 ½” from each side edge (this is the only measurment) and sew ¾” seams – end pleats # 2 and 3. Step 4. 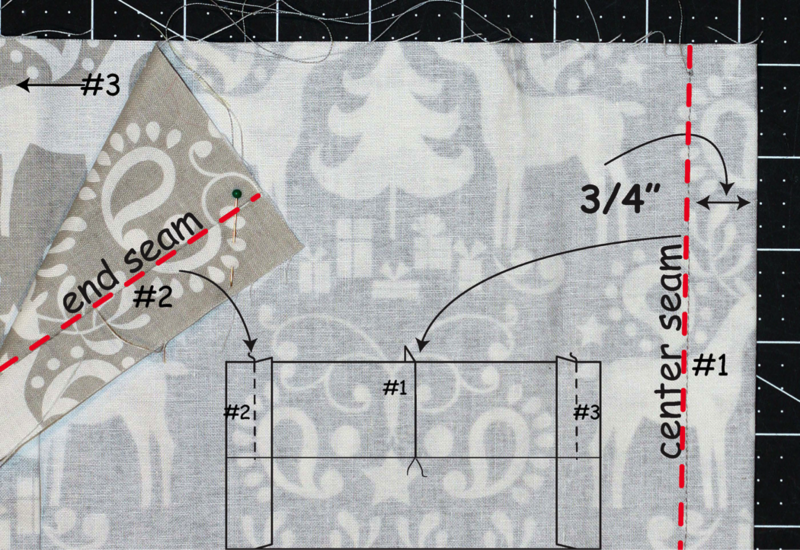 Line up one end pleat seam and the center pleat seam and press a crease in the fold – sew a ¾” seam. Keeping the seams and the top edges aligned insures that the crease will be lined up with all the other pleats. 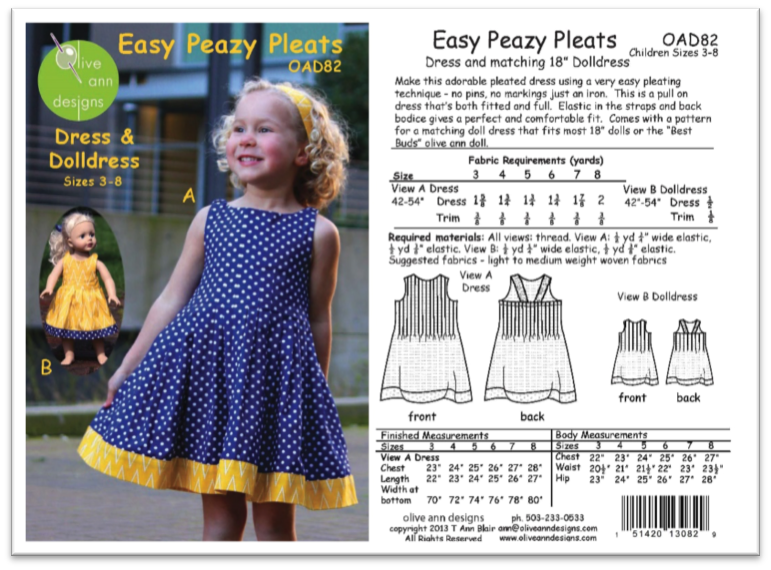 Keep on folding the dress front to line up the seams, press in creases and sew the pleats. Step 5. Press all pleats to the center. Press on the right side too. Step 6. Place the facing on top of the pleated rectange dress front, right sides together. 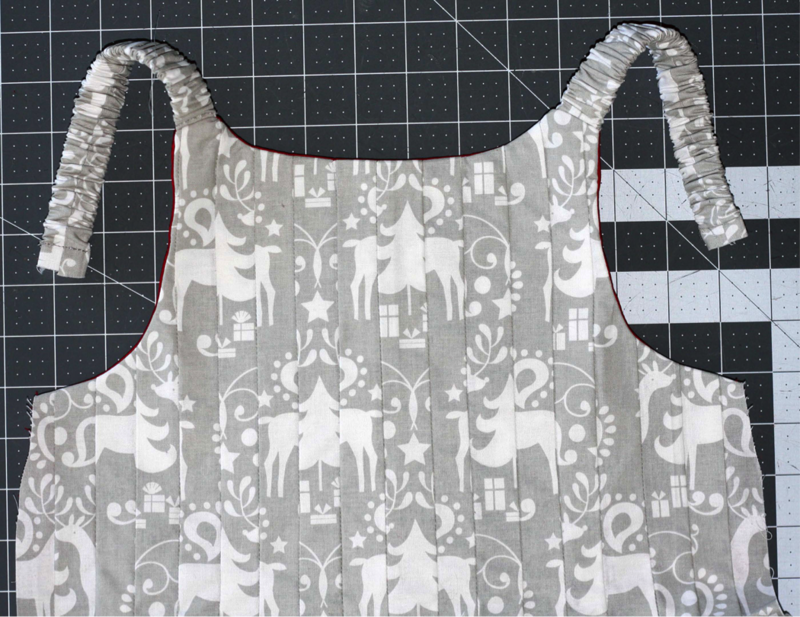 Place the straps made in another step (not shown) between the facing and dress with one end lined up to the shoulders of the facing. 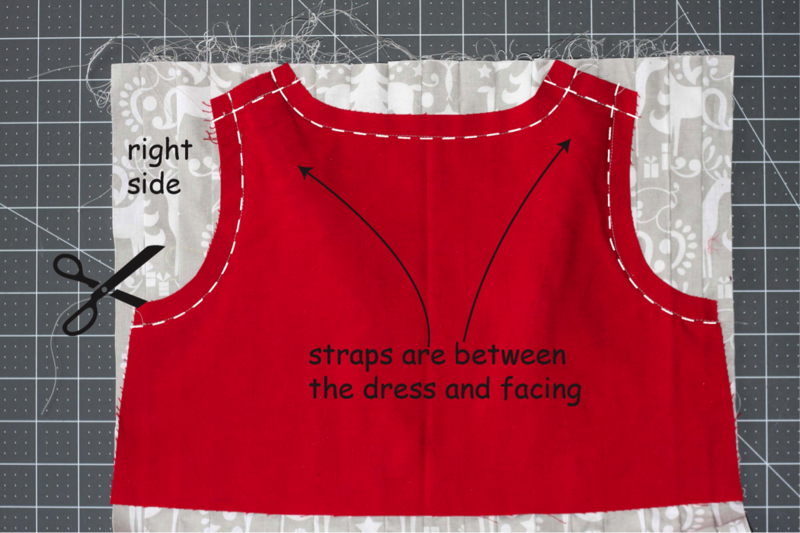 Sew ½” from the armhole, shoulder and neckline edges. Trim away the excess pleated dress front. This is the step I like the best – Step 7. T­­urn right side out and you have the front of your dress. 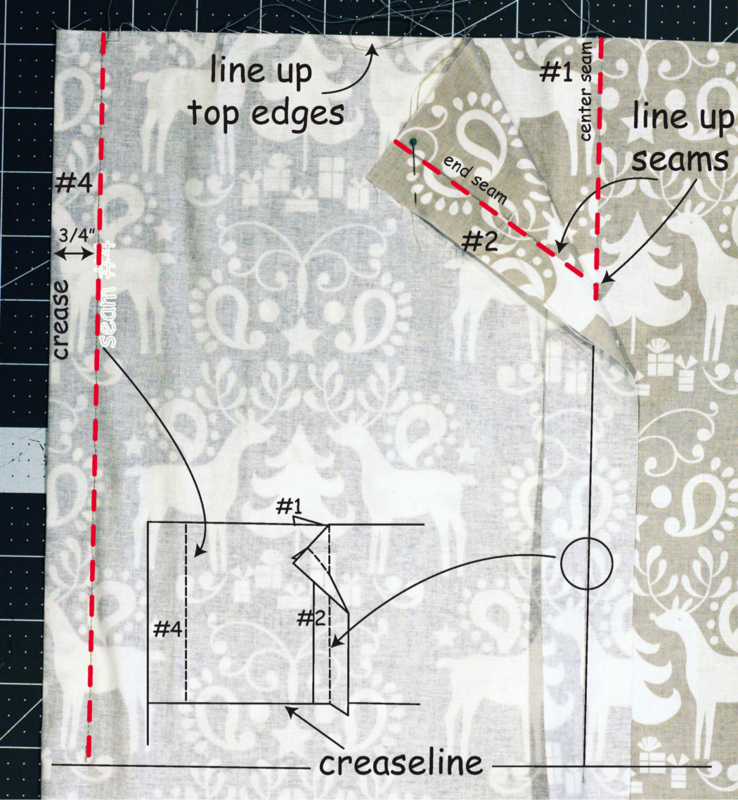 Repeat with dress back rectangle, sew together, add the bottom band and you are done!